A Robin has a feast. 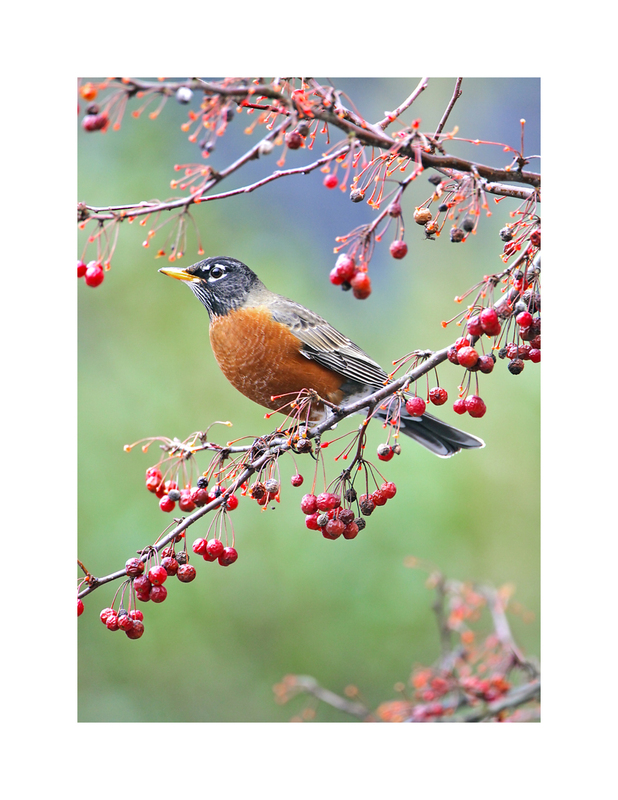 Often associated with spring, these attractive birds are a favorite sight for many. Archival Pigment Giclee print. Limited Edition of 100 in all sizes.